It's September 1st, 1859, and the Earth looks more or less like something out of an apocalyptic movie or Sci-Fi novel. All communications have failed, it's so bright outside at midnight that people are getting up and making breakfast, and people all over the world are seeing auroras. The solar storm that produced the electromagnetic pulse and caused all this mayhem is known as the Carrington Event, and storms like it happen about about once every century. Scientists say that in this case, it's not a question of if, but when it happens again. The next one may not be as bad, or it may be worse, but it's definitely coming. And the worst part is that we're totally unprepared. If another Carrington level event happened today, it could kill as much as two-thirds of our population because we depend so much on electricity for survival. Most of us would die of starvation and disease, and there would be no civilization left to speak of. Don't you hate when a thunderstorm knocks out your power for a few days? Imagine going without it for four to ten years. 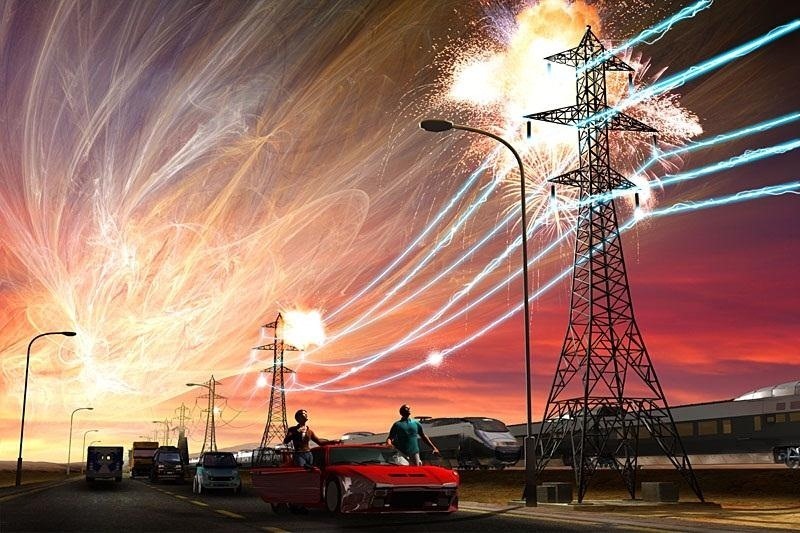 An electromagnetic pulse (EMP) is a sudden burst of electromagnetic radiation that usually comes from explosions, solar flares, and fluctuating magnetic fields. EMPs can cause voltage surges that damage electronic equipment, vehicle engines, or even the entire power grid if it's strong enough. The more a country uses technology, the larger the effect of an EMP attack would be. EMPs can have a wide variety of effects, depending on their strength. Scientists have studied both natural and man-made EMPs (the things we do in the name of knowledge) since the first nuclear weapons testings in the 1940s. Here are some examples of what can happen. In July 1962, a 1.44 megaton US nuclear test caused electrical damage, knocked out 300 streetlamps, and set off burglar alarms in Hawaii 898 miles away. From space. So what happens when it's closer? The Soviet Union conducted a series of nuclear tests called The K Project. The last few were called Soviet Test 184 and used weapons much smaller than in Starfish Prime, but they detonated them over a populated area in Kazakhstan where the Earth's magnetic field was also greater. This EMP was so strong that the electric current it produced caused a fire in a power plant in Karaganda. 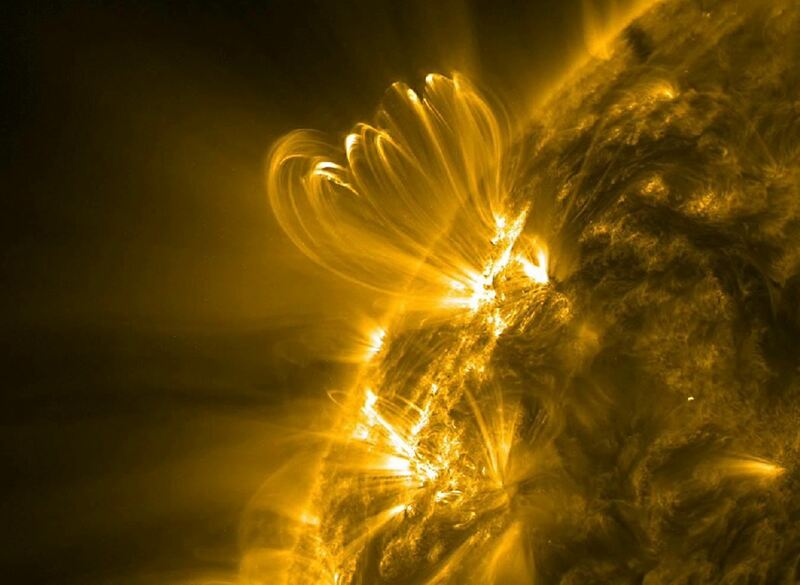 On March 9, 1989, a solar storm sent a million-mile-wide coronal mass ejection (CME) flying towards the Earth. It hit three days later, knocking out the power for 6 million Americans and Canadians for nine hours and making the Northern Lights visible all the way down in Texas. In 2005, the solar storm in the video below sent an X-class flare, the strongest kind, into space. It didn't affect Earth, but it was the biggest since 1989, and the proton storm that it caused would have been bad news if anyone had been walking around on the moon that day. In January, another huge CME caused problems with air traffic control, satellites, and high-precision GPS. 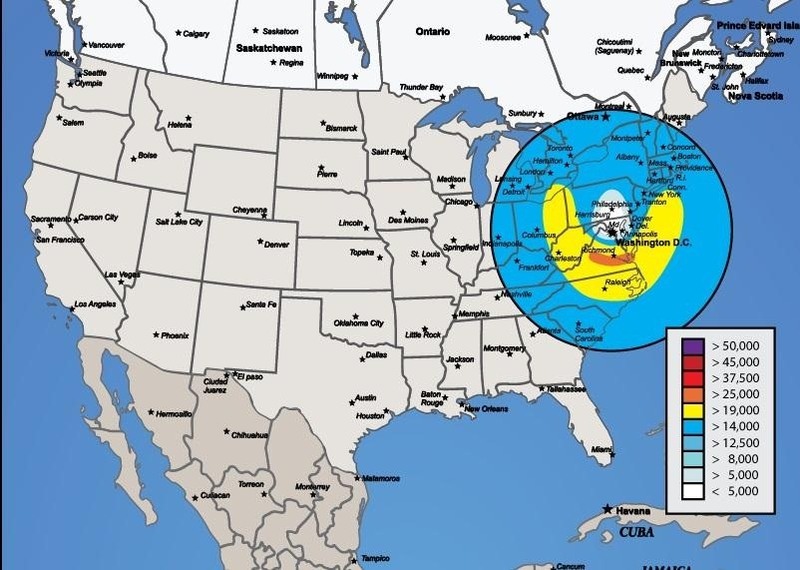 These images from EMP Cover's Attack Simulator show how big the blast radius of medium-sized and multi-megaton attacks would be. This may all sound a little dramatic, but it doesn't take some cataclysmic, earth-shattering event for EMPs to make an unwanted appearance in your life. 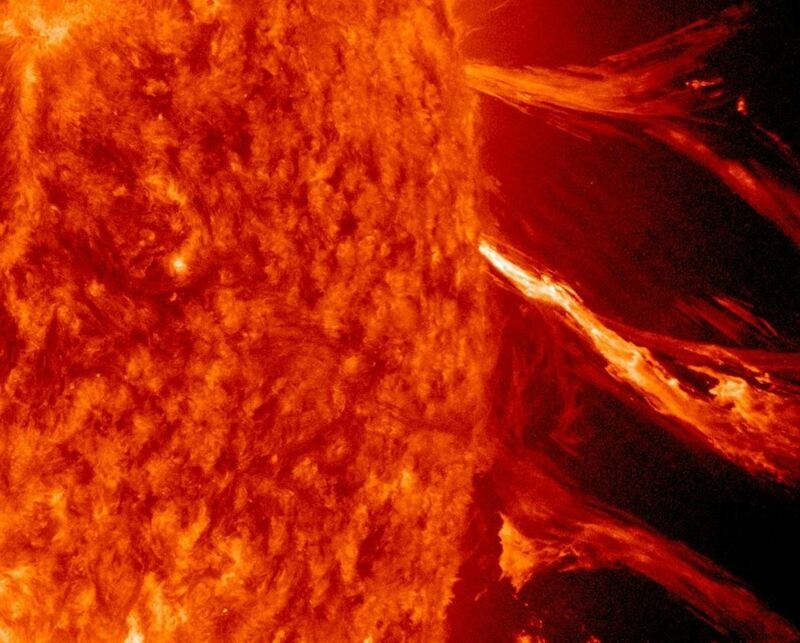 Smaller solar flares happen all the time, and while they may not take out the power grid or cause airplane collisions, they can definitely damage your gadgets (a surge protector is no match for EMPs). And they're often predicted in advance, which means you have time to prepare. It's pretty hard to check your Facebook or put the finishing touches on your most recent Minecraft masterpiece if all your gadgets get fried, so what can you do to protect yourself in the meantime? 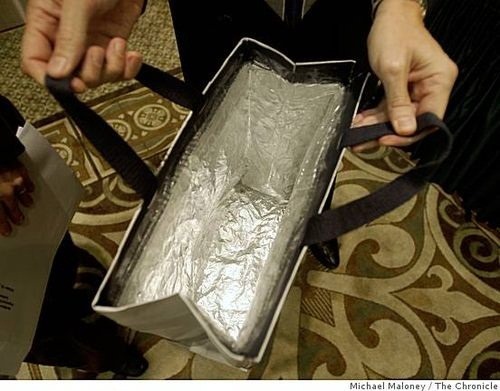 Build your very own Faraday cage that blocks electromagnetic radiation. Plus, just think how popular you'll be if you're the only one left with a working Xbox. The Faraday cage was invented in 1836 by English scientist Michael Faraday. It's basically a shield that's formed by an enclosure made of a conducting material. It's relatively simple to build, and it can be as large as a room or as small as a wallet or a pouch for your iPhone. A Faraday cage blocks external electric fields, both static and non-static, and electromagnetic radiation (if it's thick enough), and will block or severely weaken radio waves. It also blocks signals, so a phone or credit card can't be tracked by RFID or GPS when it's inside. A person inside a strong Faraday cage or suit can be hit with 500,000 volts of electricity and can even shoot lightning from their fingers. 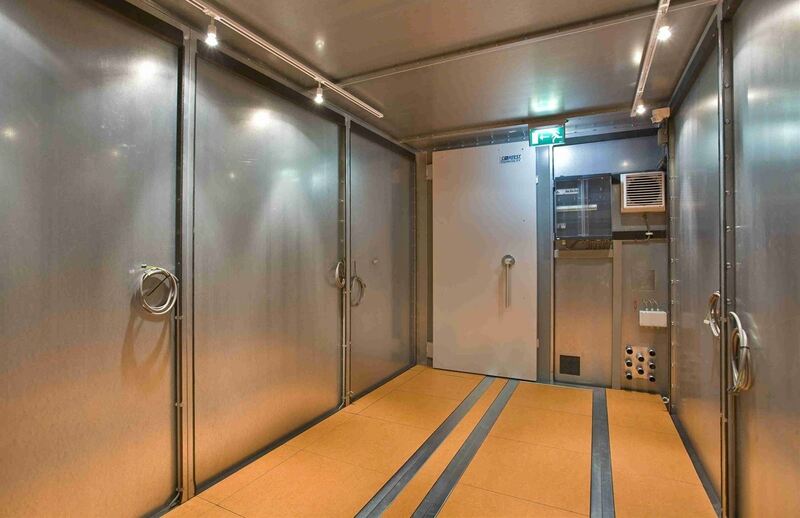 In computer forensics, a Faraday cage called a screen room is used when investigators need to analyze electronic components in an environment with no electromagnetic interference. How about some more familiar examples? Your microwave is an inside out Faraday cage. The lining inside your USB cable is a Faraday cage. 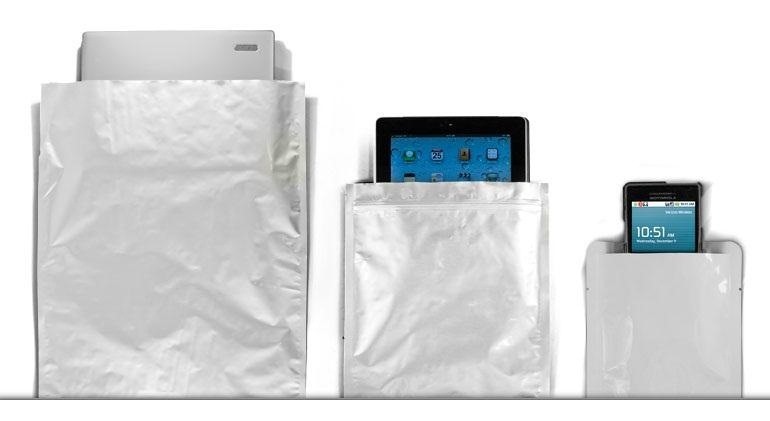 A booster bag, which is a shopping bag lined with aluminum foil that's used to shoplift items with RFID tags, is a Faraday cage. A whole industry has been built selling bags, wallets, and safes to keep electronics safe, but why buy one when you can make your own? If a Carrington or huge nuclear attack happened, you wouldn't have much use for your electronics without power or an Internet connection. But the types of solar storms that just damage your expensive stuff and mess up communications for a few days are much more likely to happen, so a Faraday cage is a good thing to have. Plus, anything electronic in it (including RFID chips) can't get a signal or be tracked, so it also takes care of those pesky listening devices. Let's start simple. 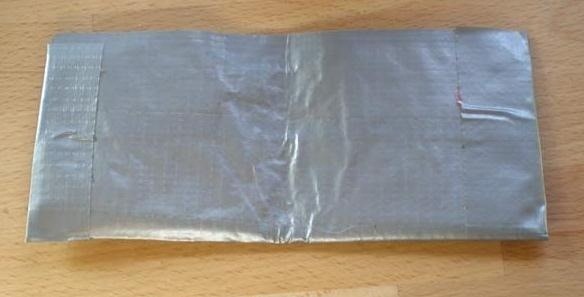 You can make a Faraday wallet with just some aluminum foil and duct tape, or add protection to the one you already have. Care more about your smartphone? 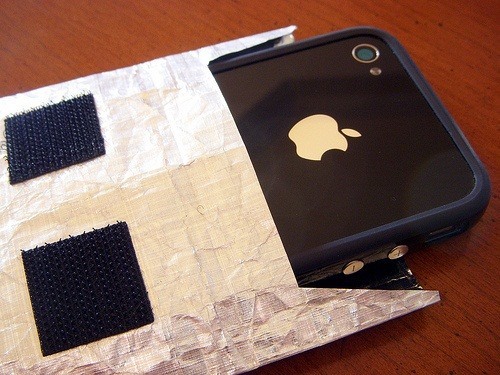 Brian Green made this awesome, yet stylish iPhone pouch with some aluminum backed Cuben Fiber and Velcro. Brian used Cuben Fiber to make it super lightweight, but you could use canvas or a different material if you want (as long as you remember the aluminum). This pouch could also easily be made to fit other smartphones, or you could make a bigger one for your laptop or gaming console. Want something you can throw all your gear in at once? 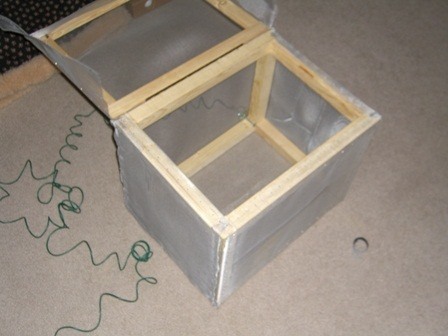 Jed Daniels made this DIY Faraday Cage with a few things you can get at any hardware store: a few lengths of wood, aluminum screen, copper wire, and a hinge to attach the lid. Just like the iPhone pouch, the size of this one would be really easy to customize to fit whatever you want to put in it. 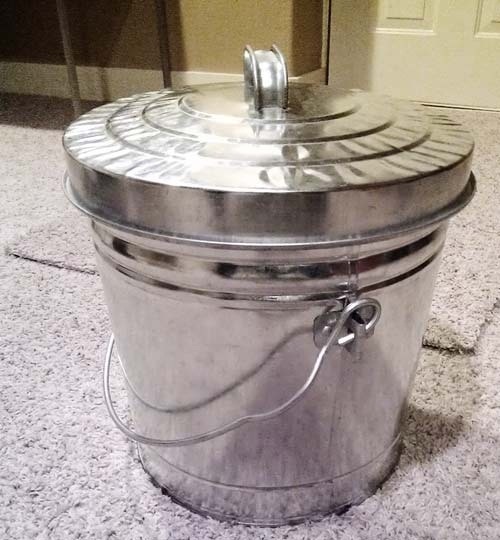 Even simpler, how about this $15 Faraday Cage that Jessica Hooley made with just an aluminum garbage can and a cardboard box? So what do you think? Are you worried about EMPs? Are we doomed to eventually go back to the Stone Age? Whether you're paranoid about nuclear war, natural disasters, or being spied on by Big Brother, a Faraday cage has you covered. But if it's zombies, well...you're on your own. News: What the Heck Was Stuxnet!? Interesting. How strong would the EMP have to be to knock out small electronics? I always just thought it would take out the power grid and anything running on that grid at the time. Good question. I'm curious on that, too. Seems the Carrington event made a bunch of telegraphs spark and catch fire, but they didn't exactly have any wireless gadgets back then. I'm preparing this just in case if the Carrington event happen eventually. You can test the effectiveness of your homebrew faraday cages by putting a cell phone inside them and calling it. If it rings, back to the drawing board.